A funny thing happened when we were in Shinbashi. We were there mainly to visit an Izakaya called Ishii. The place came very highly recommended and was billed as “a real sake lover’s izakaya” tucked away in one of Shinbashi’s many alleys. The evening started innocent enough, with us using our meager command of the Japanese language to muddle through and order sake that appealed to our tastes. It’s a tricky proposition, but we’ve gotten reasonably good at it. I started the night with an unrecognized bottle of Dewazakura Junmai Ginjo. I’ve found that it’s usually a good idea to start off the evening with a familiar brand so that the bartender knows what sort of sake i’m into. It serves as a good baseline for recommendations. The owner, Hideyuki Ishii, quickly nailed down my tastes and was introducing me to fantastic new brews in no time. 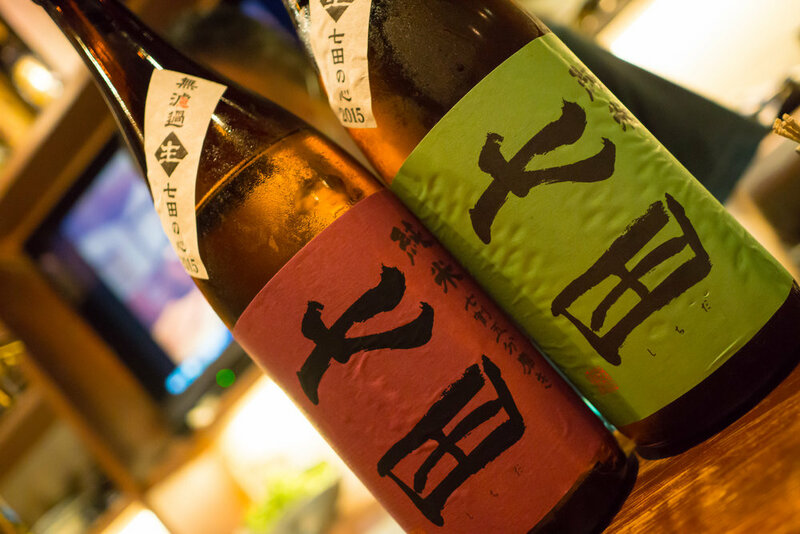 Ishii lived up to the billing of a “sake lover’s Izakaya” and then some. It was easily one of the best experiences we had on our entire trip, and just when we thought it couldn’t get any better, Ishii-san asked us a very surprising question. In general, this is sort of an unusual question to be asked out of the blue, its somewhat more unusual when you’re on the other side of the world and have been drinking sake for two hours. And this is when Ishii-san informed us that he ran a second bar, not very far away, with an even more robust sake selection, and a western 1980s music theme. Once I picked my jaw up from the floor we were off to our second destination, Yougaku Ishii. Yes, ladies and gentlemen, we found an 80s sake bar in Tokyo, and it was amazing. Yougaku Ishii is quite a bit larger then it’s more traditional cousin. The walls are adorned with 12" LPs and feature albums like Duran Duran’s Hungry like the Wolf and the Original Ghostbuster’s soundtrack (yes, really!). If the decor somehow doesn’t do the job of getting you into the 80s mood, then the blaring tunes should let you know what’s up. The music here is primarily done by request, with patrons encouraged to select their favorite tracks out of a Karaoke-style song book that is a whose who of classics from the era, complete with music videos. 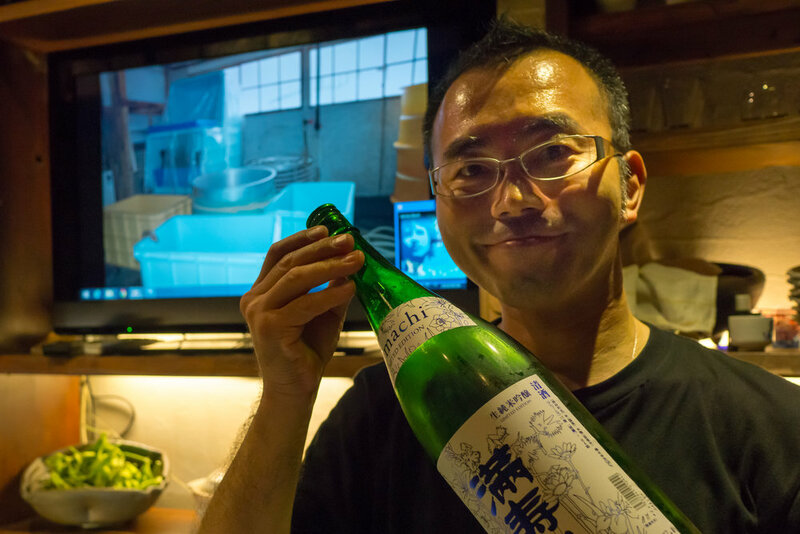 I cannot recommend Ishii and Yogaku Ishii enough, they should be a staple of any sake enthusiast’s trip to Tokyo. Make a note though, both establishments are closed on weekends!